The Early Child Development Funders working group has developed an open letter to urge Canada’s politicians to recognize that ECE is an must have element in building a more prosperous country. In an open letter sent to several media across Canada, a group of charitable foundations urge politicians to look at early childhood education in a new light - as a must-have element to build a more prosperous Canada for all. Excerpt: "The United Nations Convention on the Rights of the Child identifies ECE as a right of all children. But children have no means to exercise that right. They cannot vote; they have no professional lobbyists. We are raising our voices on their behalf in the hope that many more Canadians will do the same. ECE is a powerful tool to enable children and Canada to succeed. We want it to be prominent on the public agenda." 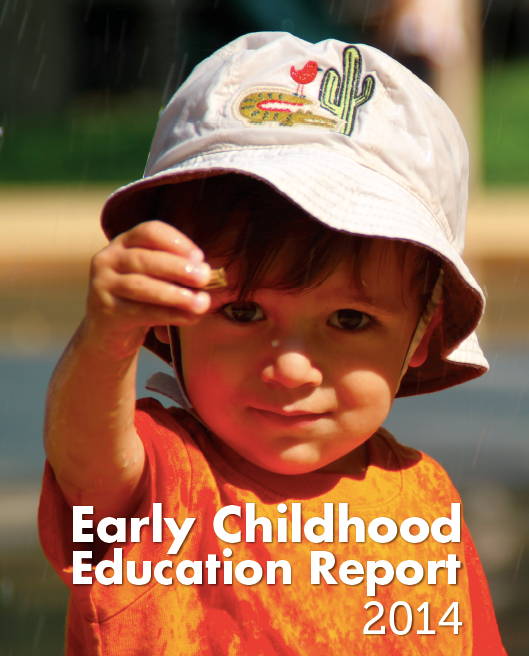 The Early Childhood Education Report 2014: It’s Time for Preschool released November 12, 2014 by the Atkinson Centre at the Ontario Institute for Studies in Education/University of Toronto is the second status update in three years. It measures provincial and territorial performance based on different criteria including investments in early education and child care programs and children’s access. It also compares Canada’s results to other developed economies.